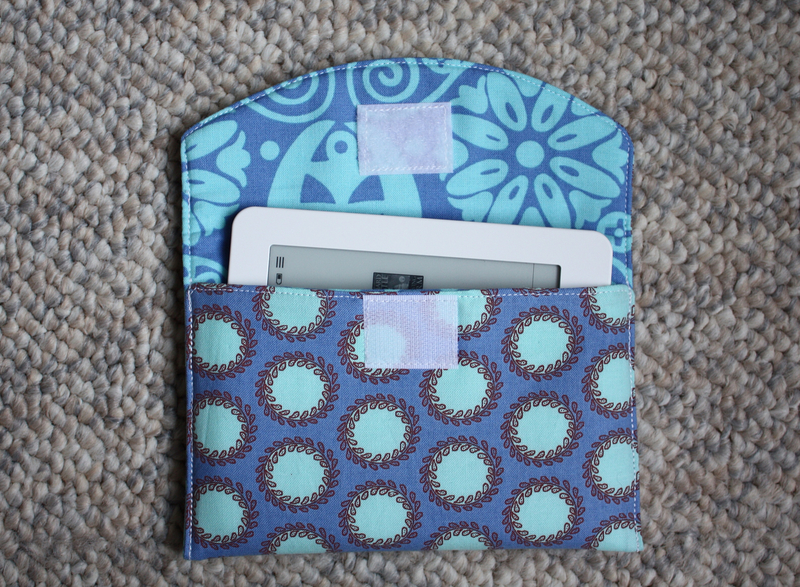 This past Christmas I received a Kobo Mini, and as soon as I unwrapped it, I immediately started thinking of making it a cozy little sleeve. Over the past month, Amanda and I have made a number of sleeves for various sizes of eReaders (found here, here and here), but I couldn't resist showing you just a couple more. I couldn't decide at first what fabric to use, but I knew I wanted to pull from my stash. 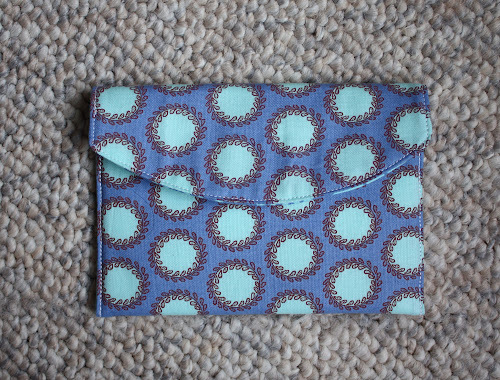 In the end I went with Laurel Dots in Periwinkle by Amy Butler's Soul Blossom line. 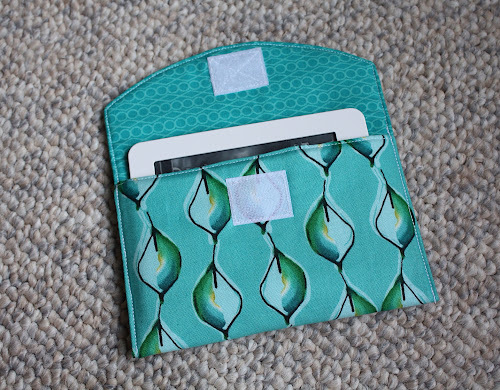 For the lining I used another Soul Blossom print, Temple Doors in Deep Water. 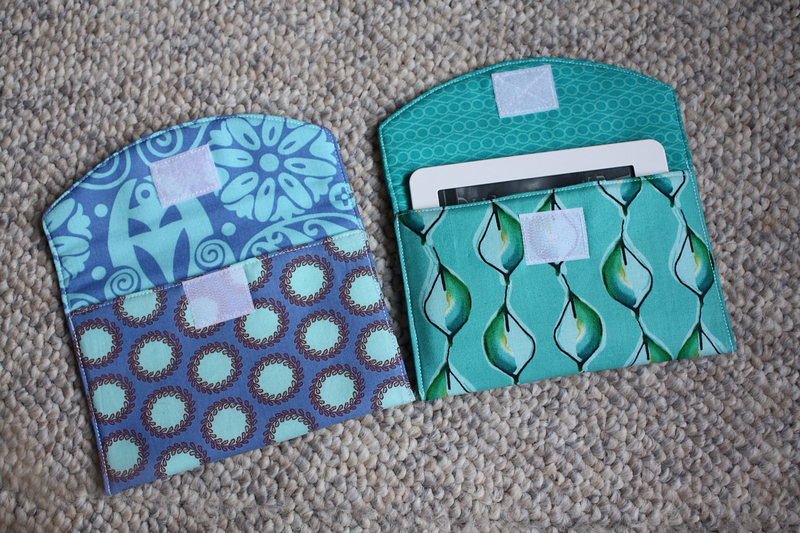 Since my mother-in-law received a Kobo mini as a gift as well, I whipped her up a case at the same time. For her cover I used Linked in Blue by Kathy Davis' Journeys line. 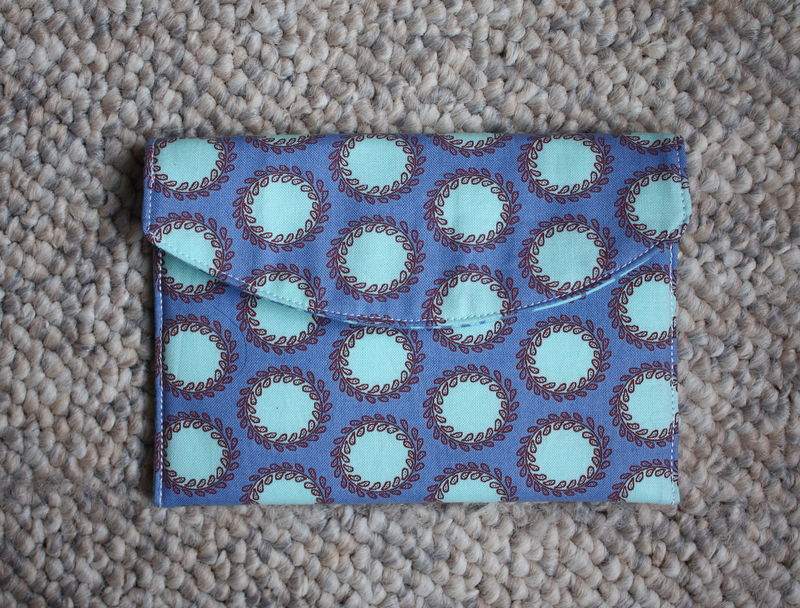 For her cover lining I pulled a favorite from my stash, Jewels in Turquoise by Lizzy House's Hello Pilgrims line. 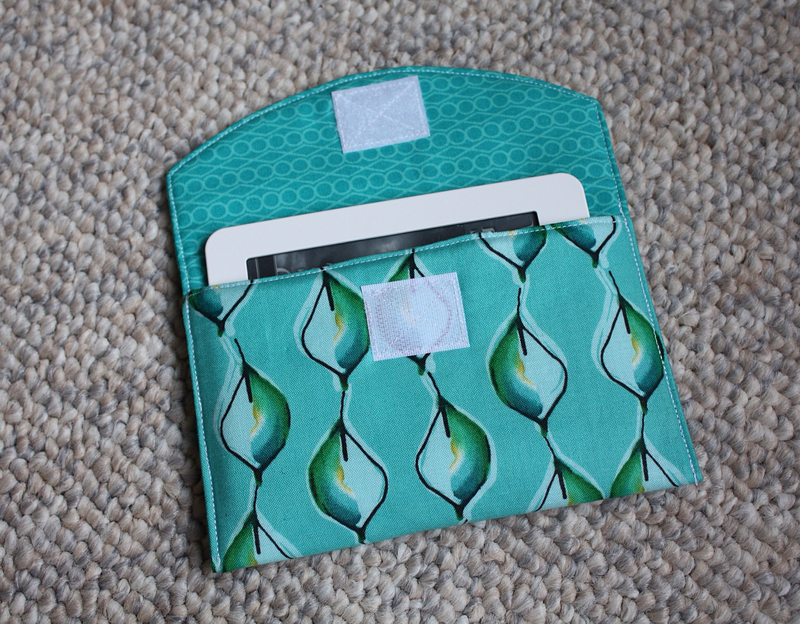 This mini eReader is the perfect size to fit in my purse during my morning commute to work, so I'm glad I had time to whip up a quick sleeve to keep the screen scratch free.